Are you tired of struggling with the old BBD carburetor on your Jeep®? Does your off road rig leave you hanging at extreme angles while on the trail? The EFI team at Holley® has designed the perfect solution for your problems. 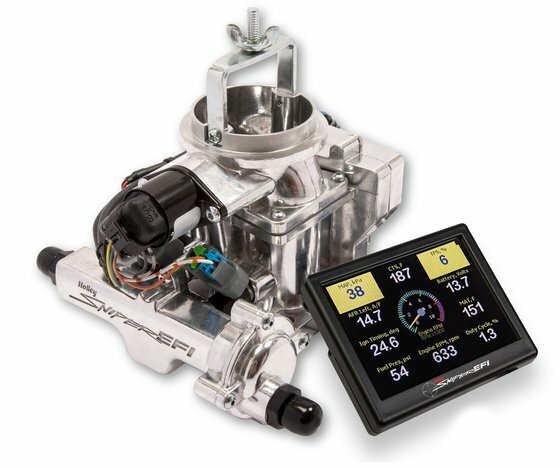 Introducing the Sniper EFI BBD, for Jeep CJ’s! The Sniper EFI BBD will be right at home on any 258ci powered trail rig, or weekend cruiser. Not only does the Sniper EFI BBD offer superior throttle response and WOT power over the carburetor, but you can also gain timing control! Put an end to cold start issues, hesitations, vapor lock, and flooding. Upgrade to Sniper EFI and get the tactical accuracy of EFI today!